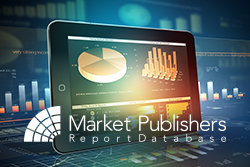 Comprehensive research report “Segmentation: Sources & Spending” prepared by Parks Associates is now available at MarketPublishers.com. Around 57% of consumers in U.S. households that have broadband access subscribe to over-the-top (OTT) video services. The average American broadband household currently spends USD 9 per month on OTT services, up 29% since 2012. The number of hours that people spend watching video content keeps on rising, surpassing 36 hours per week as of 2014, with Internet video capturing just over 35% of that time. Rather than cannibalising the consumption of pay-TV, broadcast, and packaged media content, Internet video is boosting overall consumption levels for video. Furthermore, homes with children spend 90% more on digital video and OTT services on average compared to homes that have no children. In 2017, close to 50 million streaming devices are expected to be sold worldwide. The news is optimistic for streamers as over 75% of streaming media player owners have subscriptions to OTT services. The research report provides an in-depth analysis of the trends in video spending and consumption. It provides a breakdown of data on expenditure and consumption by source (OTT, discs, pay-TV services, etc.) with a view to identifying changes in expenditure and consumption habits based on consumer segment. It also pinpoints which segments are least and most likely to engage in cord-shaving and cord-cutting behaviours and investigates the problem of consumers utilising over-the-top subscriptions held by people outside of their home. Consumer segmentation on the basis of video consumption, with an assessment of sources, expenditure, and viewing platforms. Video consumption based on source, comprising pay-TV, broadcast, packaged media content, and Internet video. Preferences of consumers for video viewing platforms, encompassing websites and applications. Deep insights into video consumption versus spending. More comprehensive reports by the publisher can be found at Parks Associates page.